A chemical substance that is used to preserve pharmaceuticals, food or other organic material from decomposition or fermentation by preventing the growth of microorganisms often termed as Antimicrobial Preservatives. Examples of Antimicrobial preservatives include: Methyl, ethyl, propyl and butyl Parabens, Sorbic acid. Na, K & Ca Sorbate, Benzoic acid, Na, K & Ca Benzoate, Sodium metabisulfite, Propylene glycol (15-30%). BHT, BHA, benzaldehyde, Essential Oils, Phenol and Mercury compounds. Parabens are among the most commonly used preservatives. They are relatively active against a broad spectrum of microorganisms. The methyl ester is most effective against bacteria and molds while the ethyl, propyl and butyl esters are more active against yeast and molds. 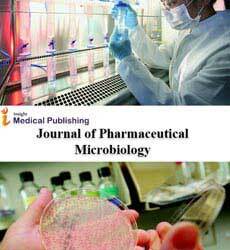 Parabens are more effective against gram negative than gram positive organisms.